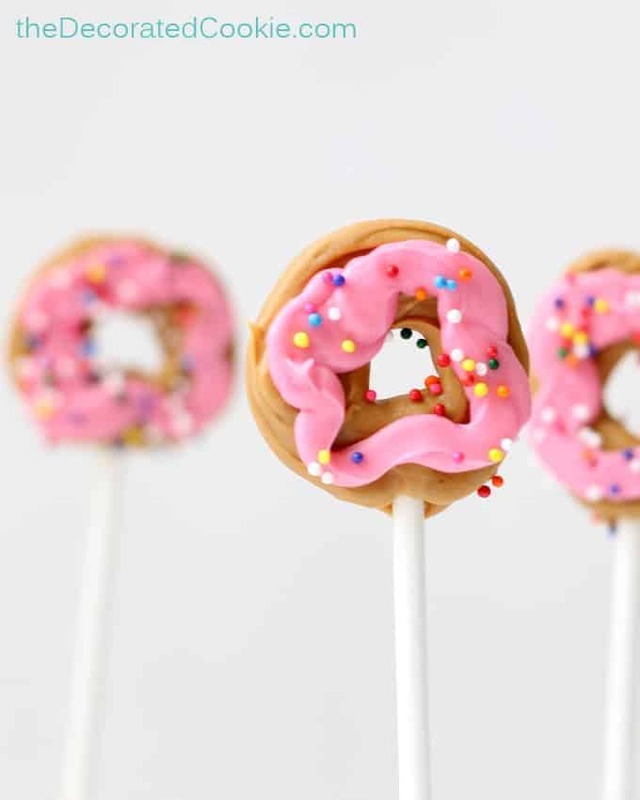 Mini “donut candy pops made with chocolate and lollipop sticks for a cute treat. 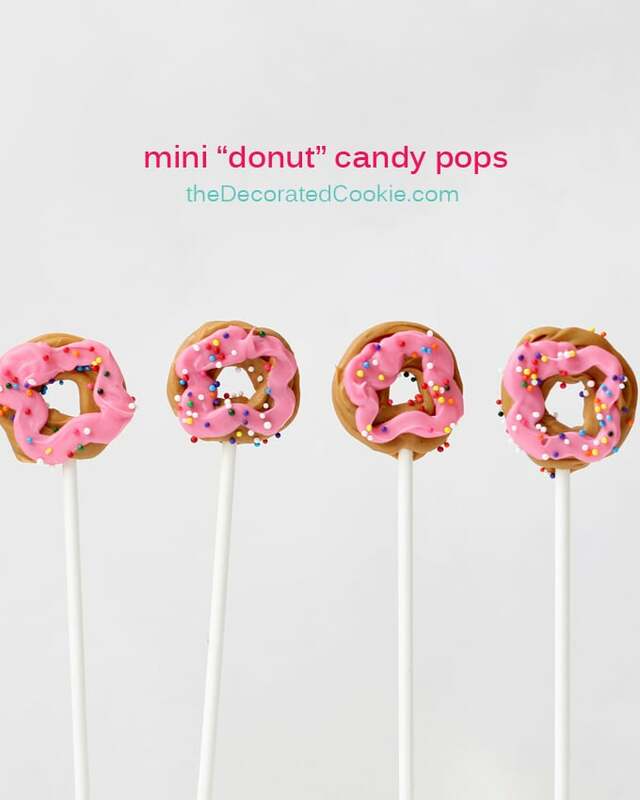 These cute li’l “doughnut” candy pops take minutes to make and look (almost) just like the real thing. Come on now, how darling are these? I’ll take the liberty of answering for you: Very. I don’t know exactly for what you would use these, but you folks are clever. You’ll think of something. 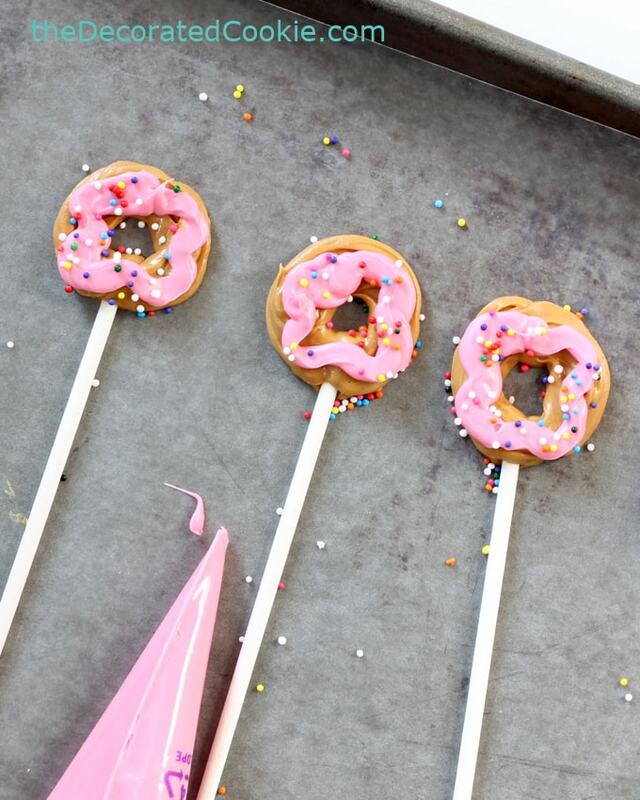 Doughnut-themed party? 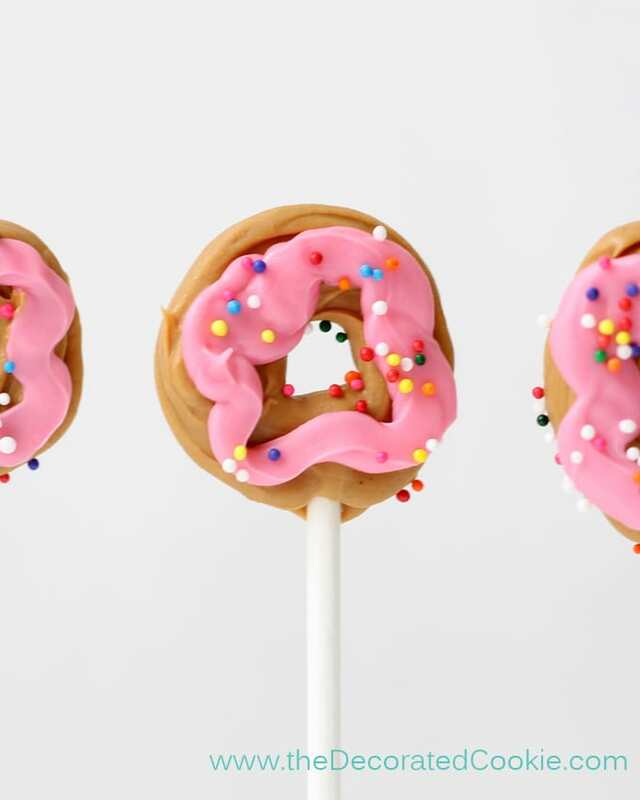 Doughnut obsession? For the heckuvit? *Find the candy melts, decorating bags, lollipops ticks and sprinkles in the craft store, or see below. Line a baking tray with wax paper and set aside. 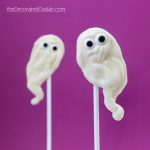 Fill a disposable decorating bag with about 1/2 cup of the light brown candy melts. 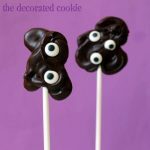 Melt the light brown candy melts for 90 seconds at 70 percent power in the microwave. Massage the bag and continue to microwave, if needed, for 15 second intervals until fully melted. Snip 1/2 inch from the tip of the bag. Pipe a dot on the tray and place a lollipop stick on the dot. Pipe a thick circle on top for the donut, about 1 1/2 inches in diameter. 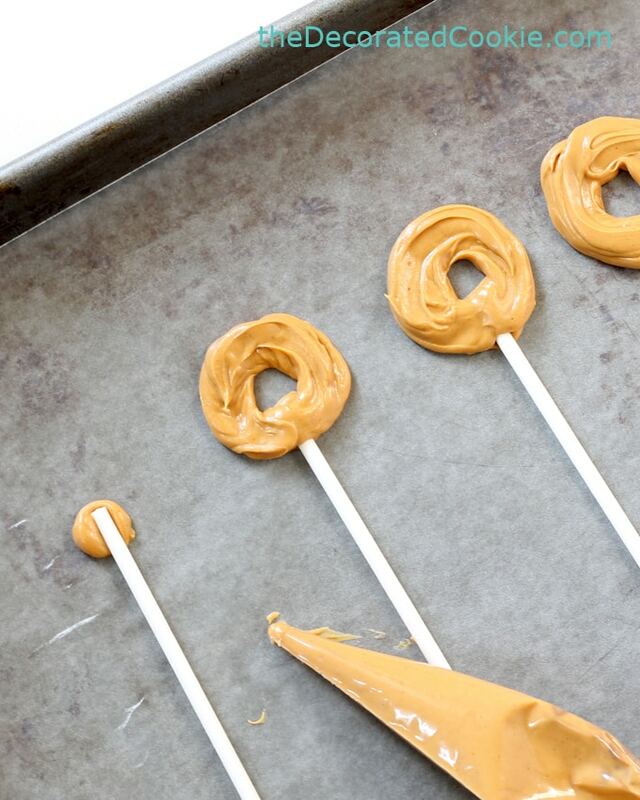 Fill the tray and let the candy melts harden, 15 to 30 minutes. Melt the pink candy melts and pipe the “icing” on top of the brown circles. Immediately sprinkle with some sprinkles. Let set. 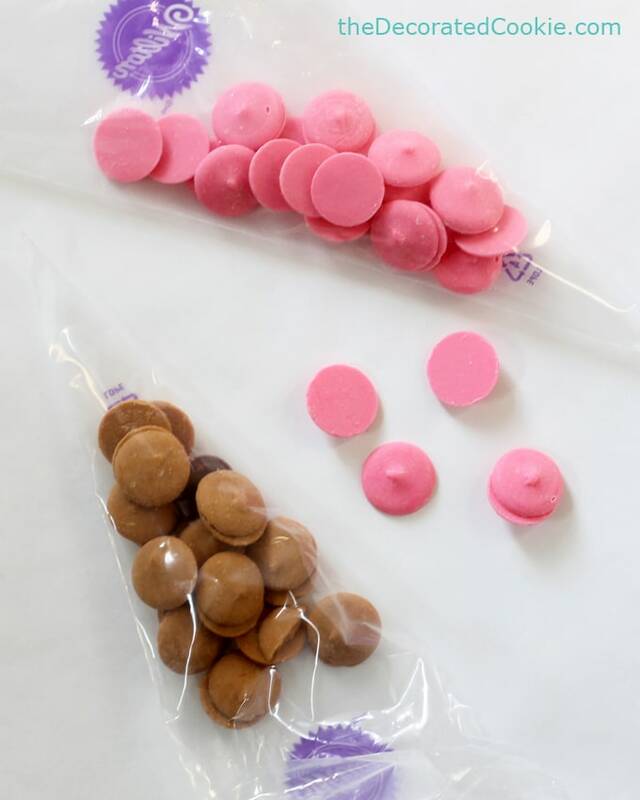 Melt the pink candy melts and pipe the "icing" on top of the brown circles. Immediately sprinkle with some sprinkles. Let set. 🙂 !!! Cutest comment I’ve seen Karen! 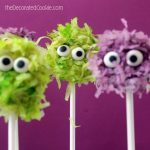 cute, cute, cute These would be great for a child’s birthday party or maybe could be used as cupcake toppers. 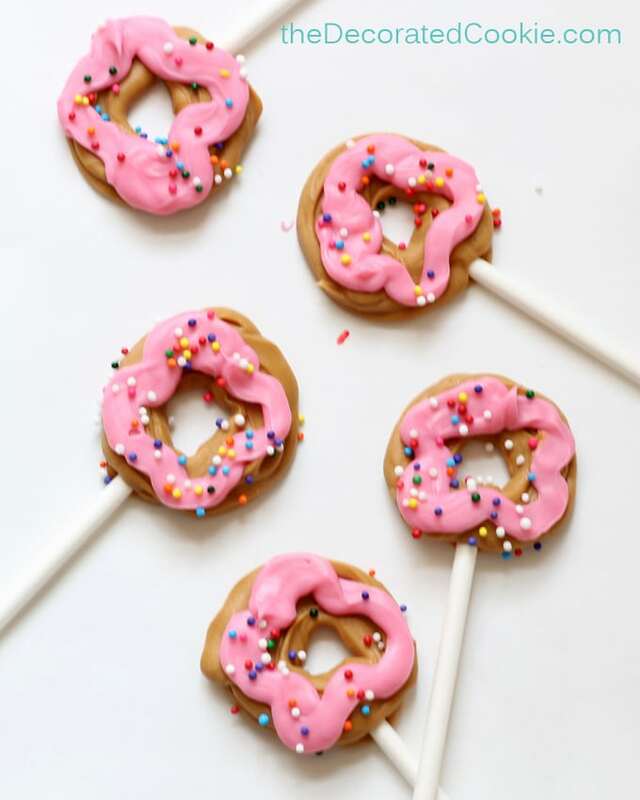 Be cute for around Valentine’s Day to make into heart shape ‘donuts. 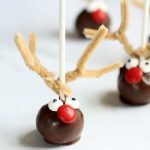 LOVE the holiday ideas Colleen (especially the donut hearts)! I’m going to try both.